New Delhi, December 17: Dengue cases in Delhi have mounted to 2,774 this year even with the onset of winter when conditions become unfavorable for the breeding of mosquito larvae, a municipal report said Monday. At least four people, including a minor boy, have died in the city due to the vector-borne disease this year till December second week. Three of the victims were identified by the South Delhi Municipal Corporation (SDMC) as Aman Tiwari (13), Sanskriti (21) and Gagan (23). Delhi Reports 551 Dengue Cases So Far in November. The report said the total number of cases of dengue in the national capital had mounted to 2,774 till December 15. At least 117 of these have been recorded in December, while 1,062 dengue cases were reported in November and 1,114 in October, the report said. Also, 473 cases of malaria and 164 of chikungunya have been reported this season, it said. Of the total dengue cases this year, 374 were recorded in September, 58 in August, 19 in July, eight in June, 10 in May, two in April, one in March, three in February and six in January. The rest of the cases were reported from areas outside the jurisdiction of the three municipal corporations of Delhi. Two malaria cases were reported in February, one each in April and March, 17 in May, 25 in June, 42 in July, 82 in August, 138 in September, 130 in October and 33 in November, according to the SDMC, which tabulates data on vector-borne diseases in the city. 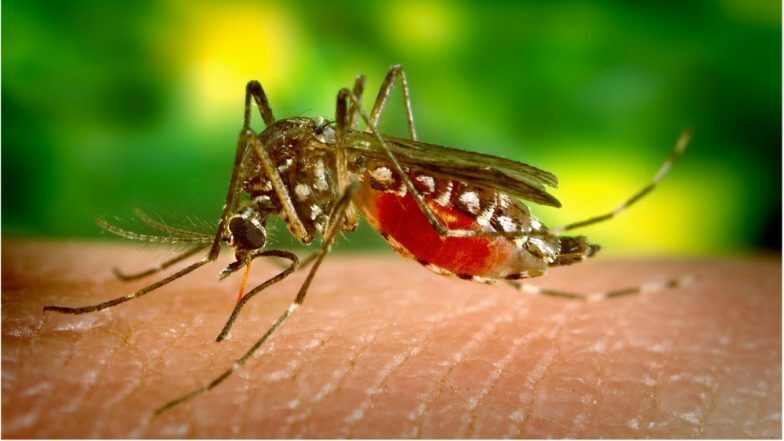 Doctors have advised people to take precautions to ensure that there was no breeding of mosquito larvae around them and urged them to wear full-sleeves and use mosquito nets. Water coolers should be dried up when not in use as dengue infection-carrying mosquitoes breed there a lot, a doctor said. Cases of vector-borne diseases are usually reported between July and November, but the period may stretch to mid-December. No cases of vector-borne diseases were reported till January 13. The report said domestic breeding checkers found mosquito breeding in 2,33,913 households in the city till December 15, and 1,86,739 legal notices have been served for various violations and "25,971 prosecutions initiated" in this regard. According to the SDMC, 10 people had died due to dengue in Delhi last year, of whom five were not residents of the national capital. Overall, the vector-borne disease had affected 9,271 people in the city last year.